We have seen many smartphones with fingerprint sensors and very fewer phones come with extraordinary features. 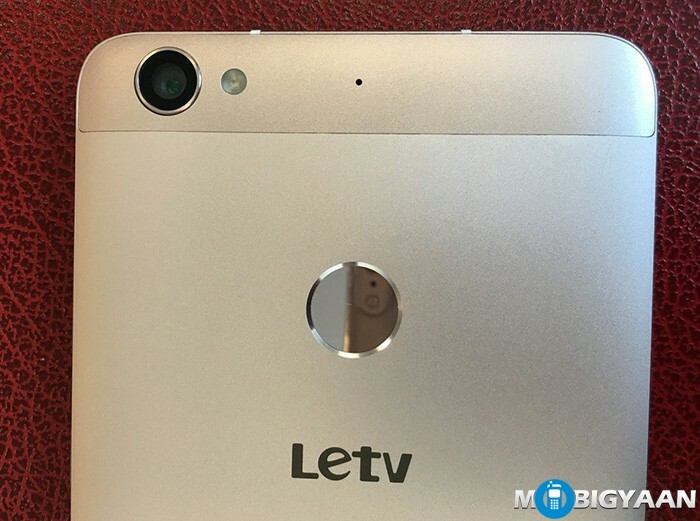 LeEco, previously known as LeTV, launched a new handset Le 1S boasts a fingerprint sensor at the back and we have observed some interesting features of the fingerprint sensor on the Le 1S. Let’s take a look at the LeEco Le 1S fingerprint sensor features. One of the most interesting features of the Le 1S is the mirror-surfaced fingerprint sensor. In fact, it is the World’s first smartphone to feature a mirror-finish fingerprint sensor. The fingerprint sensor has a polished surface hence, you can easily place your finger on the sensor to unlock the smartphone. The fingerprint sensor is extremely accurate with an accuracy of 99.3% as claimed by the company and unlocks the Le 1S in just 0.15 seconds. Taking the phone out of your pocket, tapping the sensor once and the phone is unlocked no matter you are on the go. The faster the sensor is, the more reliable you are with it and you will forget the power button to unlock the Le 1S. The Le 1S recognizes your fingerprint 360 degrees. 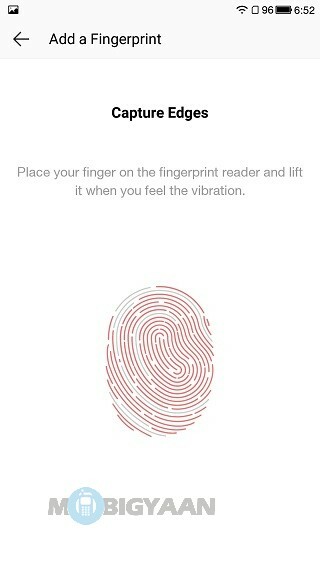 That means you can unlock in any way you like putting your finger on the back of the sensor. Either you place your finger upside down or in any direction, the moment you place it on the sensor, the device will unlock in no time. The fingerprint sensor on the Le 1S can support 5 different fingerprints. Adding just one fingerprint is not enough rather multiple fingerprints can be useful if you are holding a hamburger or a hotdog in one hand. 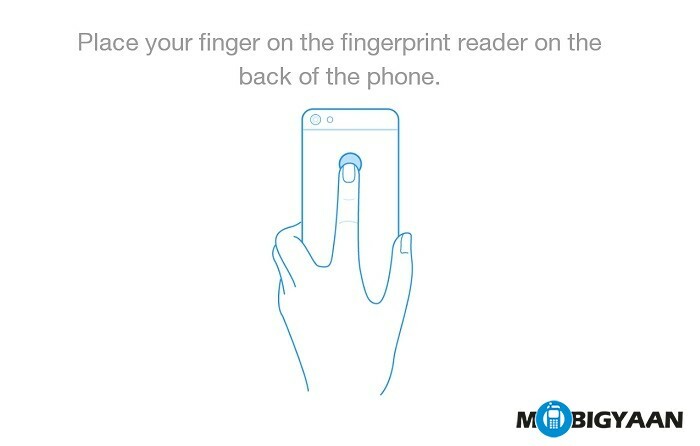 You can add more than one fingerprint (each with a different finger) and add up to 5 of your fingerprints to unlock the smartphone. 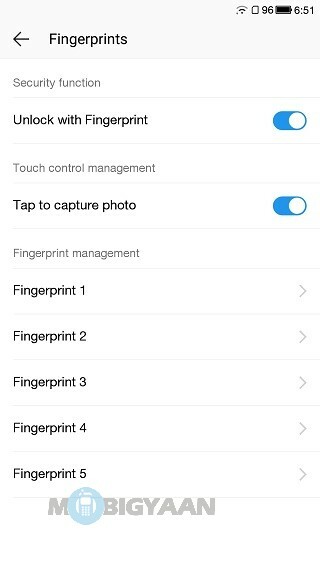 Now you can even take photos on Le 1S by tapping your finger on the fingerprint sensor at the back. It is easy and very efficient for the people to take photos using the sensor at the back. Moreover, the 5.5-inch LeEco Le 1S priced at ₹10,999 sports a 2.2 GHz octa-core processor MediaTek Helio X10 Turbo (MT6795) SoC with 3 GB RAM and a large 32 GB eMMC storage that can be connected with a new USB Type-C port. It runs on Android 5.0.2 Lollipop with EUI and powers with a 3000 mAh battery flaunting a 13 MP back and 5 MP front camera. The Le 1S is available exclusively on Flipkart. Here are our videos on the LeEco Le 1S fingerprint sensor features. One is in the English language and the other one is in the Hindi language. So, have you spotted any more features of LeEco Le 1S fingerprint sensor? 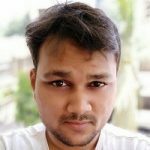 Share with us under the comments. Also, check out our hands-on review of the Le 1S.